If you were lucky enough to befriend Wee Willi Winkels at Jozo’s then you have a good idea of just how legendary his story is. His contributions to skateboarding, skiing and wakeboarding are impressive. The fact that he helped invent snowboarding while growing up in Brampton is mind-blowing. An inventor, an athlete and an entrepreneur, Willi was taken from us far too soon. He truly was one of Collingwood’s unsung heroes. Born in Germany in 1956, Winkels was the youngest of seven kids. The family literally took the boat to Canada before Willi was a year old. And because his father’s name was also Willi, Willi Winkels Junior got the nickname Wee. They came straight to Toronto. His father started a door manufacturing company in Malton, Ontario and Willi grew up on Edenvale Crescent, opposite St.Georges Golf Club. And he began skateboarding in the 1960s. After breaking one plywood skateboard deck after another, Winkels sat down with his father to create a stronger deck. Lamination seemed the obvious choice. They went with seven-plies of maple. A design that is still widely used by the skateboard manufacturers of today. 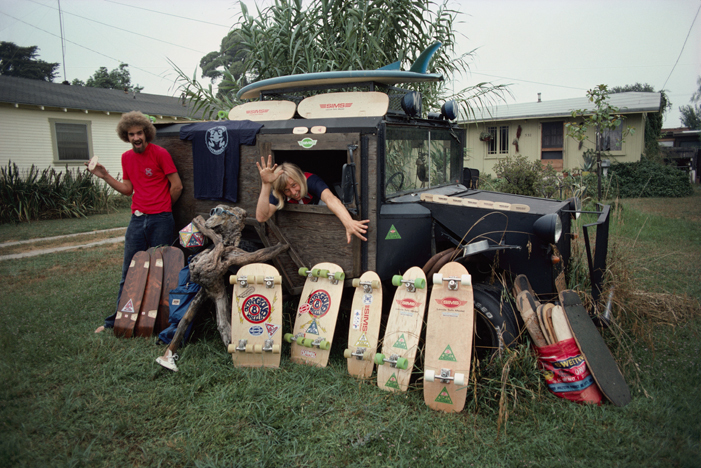 And it was through a friendship with pro skateboarder Lonnie Toft that Willi’s influence on skateboarding exploded. 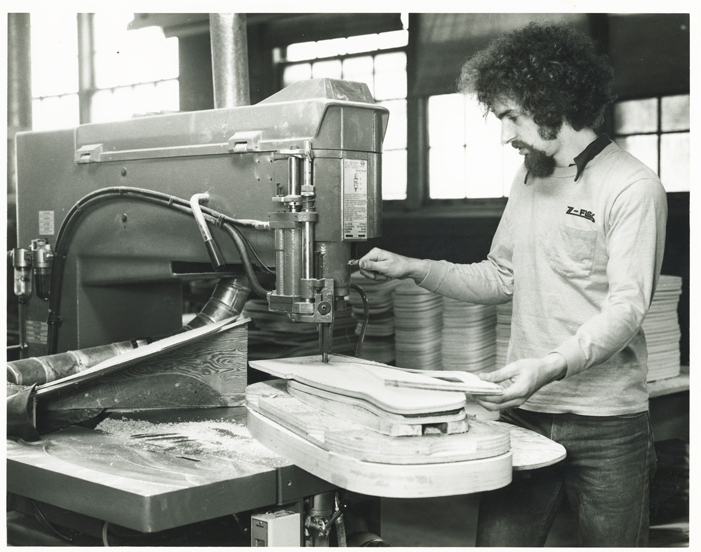 “In 1976 Lonnie just asked me, ‘If I give you one of my templates, can you make me a board? I’m going in a skateboard contest, and I’m gonna use it in the contest,’” remembered Willi. It wasn’t long before Tom Sims himself was at Willi’s doorstep begging him to make boards for the Sims company. For the next ten years, the Wee Willi Winkels Skateboard Company manufactured decks for Sims, Hosoi and others. The door manufacturing company became a major skate deck production facility with up to 30 employees, producing nearly 2000 boards a week. These boards were then shipped to California in empty fruit crates, and if you were a Canadian kid looking for a Sims deck, they were then shipped back to you here in Canada. After years on the competitive ballet skiing circuit (he even had his own pro model skis), Willi began to experiment with skiboards on the slopes of the St. Georges Golf Course. It was 1978. At the time different names were being used to describe this new sport. Skiboarding was a popular term, but when a company in Europe trademarked the name, Willi knew he had to come up with something else. He decided to call it snowboarding. The name stuck. Willi visited his friend Lonnie Toft that year in California. They both had highly customized snowboards and they somehow convinced the patrol at Mammoth Mountain to let them ride the lift. Tom Sims was with them. Tom was on skis. This photo is from that day. Tom Sims took it. Arguably the first ‘snowboard photo shoot’ ever. Willi went on to snowboard Blue Mountain’s Apple Bowl later that year, and Tom Sims went on to become a World Champion snowboarder in 1983 and create an empire based on this new sport. “Willi’s legacy will live on. His life was a golden era of invention, experimentation and entrepreneurship. The list of things he was a part of is incredible; he was making fingerboards long before FlickTrix decks were invented, he built longboards decades before Sector 9, he was one of the first people ever to wakeboard in Muskoka, he was an avid motorized-skateboard rider, he invented a portable cassette player before the Sony Walkman, the list goes on and on. His mind was an encyclopedia of lore and history. From grass skiing at Talisman, to his Wee Willi Winkels Skateboard and Rollerskates shop at Dundas and Bloor the stories flowed out of him. For the last 20 years Willi and his wife lived in Collingwood. They split time between here and Big White. He passed away on March 18, 2014. He was too young. His life will be celebrated on September 27th at the Toronto Ski Club. “The day was in Huttonville, outside of Brampton,” remembered Willi. “Mississauga road and Queen Street. And you’re landing on an 8-wheeler? And the photo speaks thousands of words. The most iconic image of Willi Winkels. Printed as posters, as magazine covers, as t-shirts, on stickers, even Girl Skateboards stole the image for one of their ads in 1994. No one remembers the photographer’s name. But he must have used at least one whole roll of film to catch this. And it was worth every square millimetre of celluloid. This is Willi during his hey day. When he toured with a team of 8 guys throughout Ontario promoting skateboarding. He had a portable halfpipe, a motorized skateboard and this monstrosity he’s about to land on: the 8-wheeled skateboard. 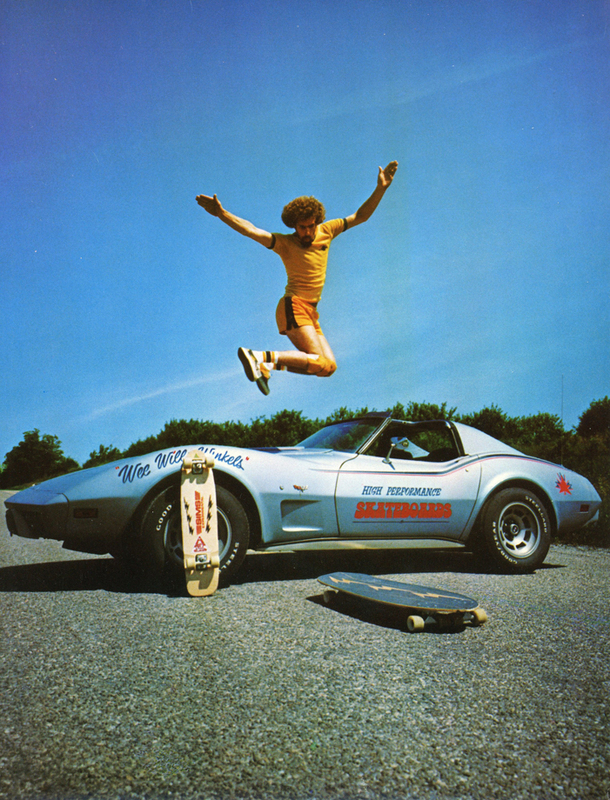 While technically not a true “hippy jump,” (he’s jumping from one skateboard to another, instead of landing on the same skateboard), the trick, the shot, the car and the hair are a celebration of all things summer, all things seventies, all things skateboarding and all things awesome.